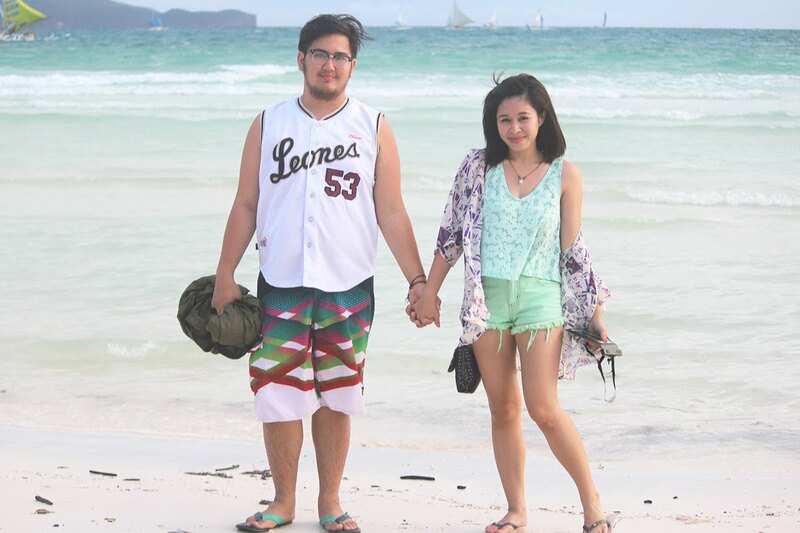 We decided to just relax and enjoy the view of Boracay on our third day. After having our breakfast we walked to Station 1 and try out shakes at Jonah’s Fruit Shake & Snack Bar - the must-try & most well-known refreshments store in Boracay. I wore a kimono from Naked Clothing, rhinestone tasseled crop top from The Landmark, Vanilla Breeze mint green shorts, strappy slippers from Rydax. Loving’ the rhinestone design of this top. Got this for just P309.75. Slippers of today (what everyone is wearing). I’m seeing this style a lot lately. It’s really very comfy to wear. By the time we reached station 1, we made sure to try the shakes at Jonah’s. Since, it’s really popular I should try it out. Patrick’s been telling me to go to Jonah’s since our first day in Boracay. 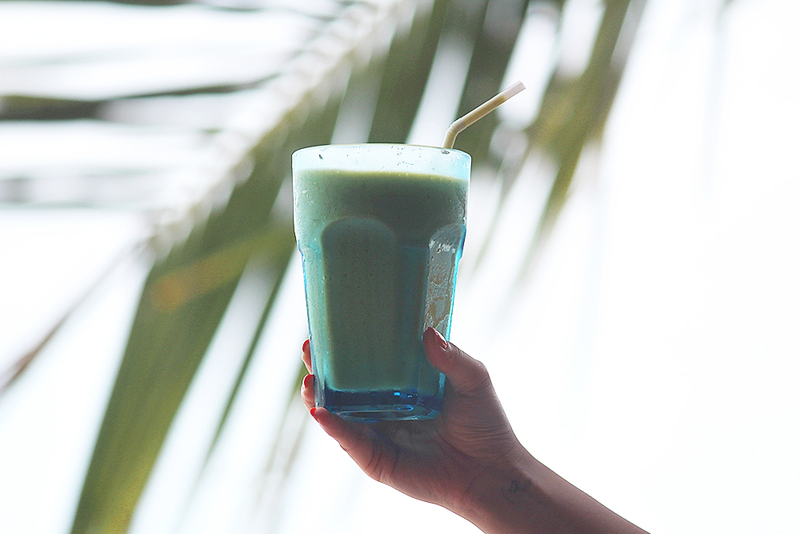 I got the Avocado Milkshake, and good for me! I made the right choice. It tastes so good. This is the best shot I have. Lol. We were tired from our journey so we stayed in the place for a while. 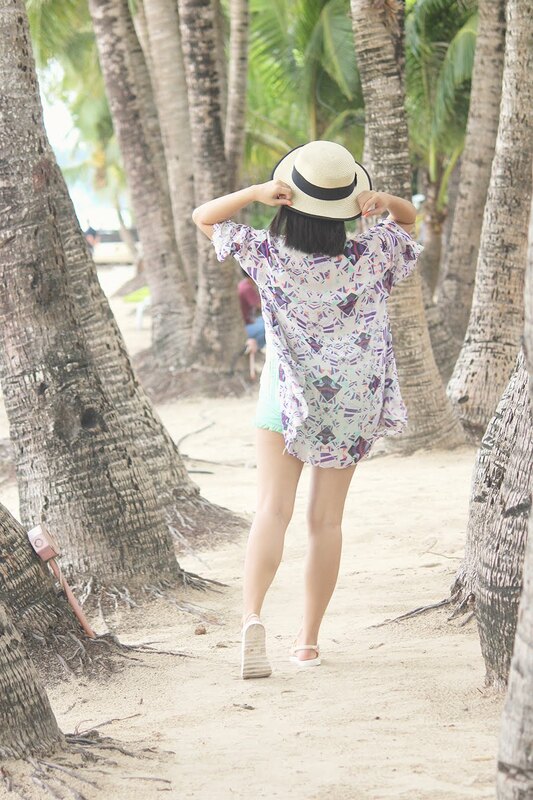 Shades from Metrosunnies, One-piece from SM Store Coco Cabana and hat from The Landmark. Just strutting in my one piece. So cute! We were supposed to meet with my parents at Our lady of the Most Holy Rosary to have mass by 3pm but we had nothing to do and it was still around 12 so we just walked back to the hotel. After mass we found out that Jonah’s was just across the church, we went back to Jonah’s, but this time with my parents. Holding hands while holding stuff. One of the few things Patrick would nag me about - The Chori Burger. We already bought it the night before but from a different stall which is located closer to Station 2. We saw another stall in Station 1 (the photo above) and bought the chori burger again. I wanted to try the Longga Burger but it was out of stock (something like that). Other stalls didn’t have the Longga Burger as well so I bet it’s not the season for Longganisa. Lol. Boo! Sorry Me! 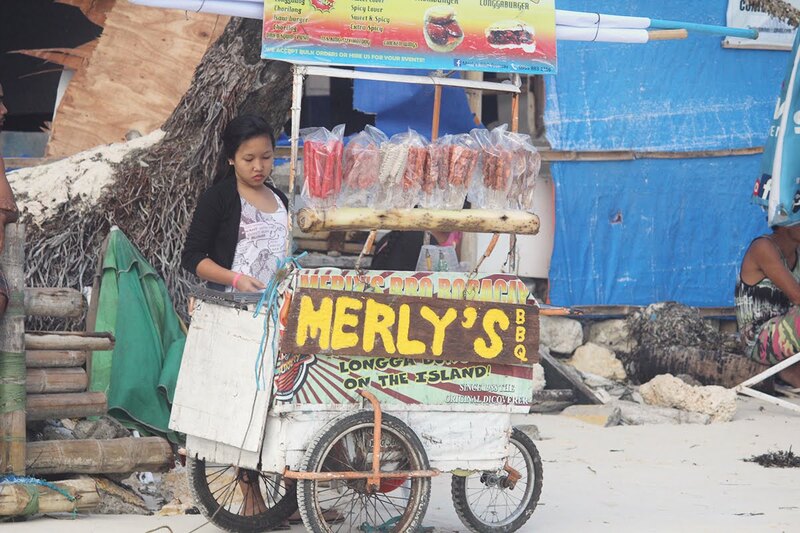 Merly’s is the original Chori Burger and Longga Burger. They’ve been in the business since 1988. I wasn’t even born yet. That’s it for now! Quite a long post, I think this is the longest entry I made so far. Hope I didn’t bore you..